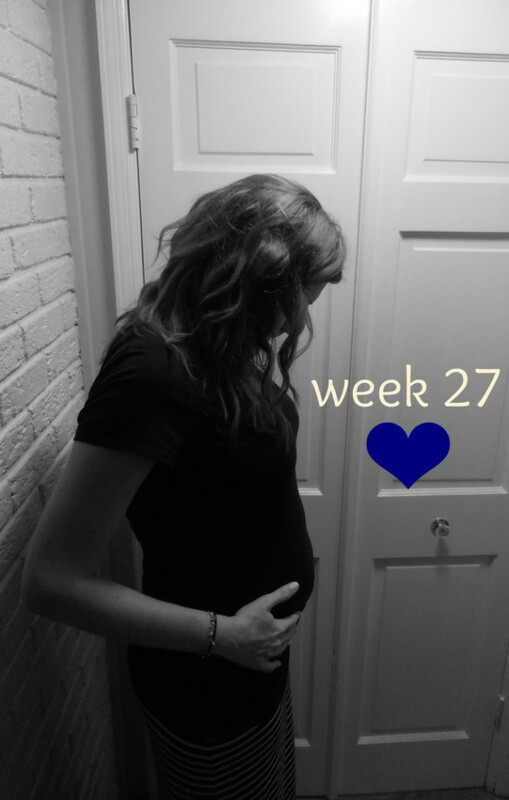 I can’t believe that in one week I will be in the third trimester! Can I just tell you that being pregnant goes by really really fast? And there’s still so much to do, but I’ve got 12 weeks right? Well, hoping Sheffy stays in there for that much longer anyway. I had my glucose test yesterday — which I failed. I’ll find out today if I need further testing. I’m not going to lie — I was pretty upset about it. Nadine talked me off the ledge by reassuring me that it had nothing to do with my habits, and only my hormones, AND by reminding me that I was seeing Dave Chapelle (AWESOME, by the way). I can’t thank the blogging gods enough for bringing that girl to me. Also, that drink is not nearly as bad as all the stories I’ve heard. I got the orange kind, and it just tasted like a really really sweet and flat Orange Crush. Baby is also lying in transverse (sideways across my belly) position right now, which is apparently normal before 28-30 weeks, so I’m just hoping that he’ll turn soon. His heartbeat was slightly irregular, but going strong at 149 bpm. I’m actually measuring a week behind, but I’m pretty sure that’s because I’m tall and I’ve got more room to put him. But then again, I’m not a doctor. We got to see his face, which is the shot they were looking for. No cleft lip — hooray!! And he put on quite the yawning show for us. I’m feeling pretty ok — Sheffy’s kicks are getting stronger, and since he’s all up on my lungs and ribs, it’s making it a little harder to get up the stairs and do my workouts. The exhaustion has come back, but I guess that’s to be expected. I’ve had a couple nose bleeds and my gums have bled a few times, but nothing of extreme concern. I’ve been incredibly emotional lately — and I can’t figure out if it’s the pregnancy, or if the reality of everything is finally starting to set in. We are this close to finishing the basement — we are putting the floors in this week/weekend, and then we will finally be able to start moving furniture down there to FINALLY start getting the nursery ready. The in-laws are coming up to help move the furniture and paint Sheffy’s accent wall before we put in new carpet. I really still can’t believe there are only 12 weeks left until I get to meet this little guy! WOW! The baby is growing so fast! =) Glad you enjoyed Dave Chappelle. Hope the baby wasn’t able to hear what he said, LOL! Wow, only 12 weeks left! I’m sorry that you are stressing about the glucose test, but it’s nothing that you can control, you can only control how you deal with it. Stay positive! Sounds like a busy weekend ahead but I’m sure you’re ready to get the nursery set up. What fun! I have said it before, and I will say it again….you are doing EVERYTHING right in your pregnancy. There is nothing that you did to cause the results of your test. I feel like it is a pretty common thing. I am glad that you had a great time last night see Chapell(still totally jelly over here) and I can not wait to have lunch with you and play with puppies tomorrow. 12 weeks left?! Your pregnancy is FLYING by! You are also the second person I’ve heard from who failed their test yesterday. I blame it on the warmer weather, for sure! I’m glad Nadine was able to talk you down yesterday. It really doesn’t have ANYTHING to do with you and your habits. 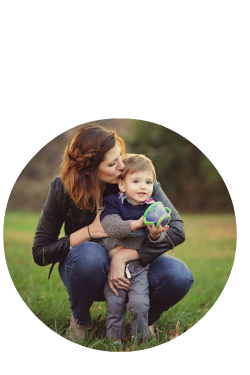 You are providing the best incubator for your little man! I can’t wait to see pictures of the nursery once you get it finished!! 12 weeks and counting. Still a ways to go, but it will be here before you know it. I’m so jealous of you that you went to see Dave earlier this week. I wish I could have gone.